Well sorta. With two studios the invariable storage issue always arises, and more often than not, needing a free or very cheap solution to the problem. 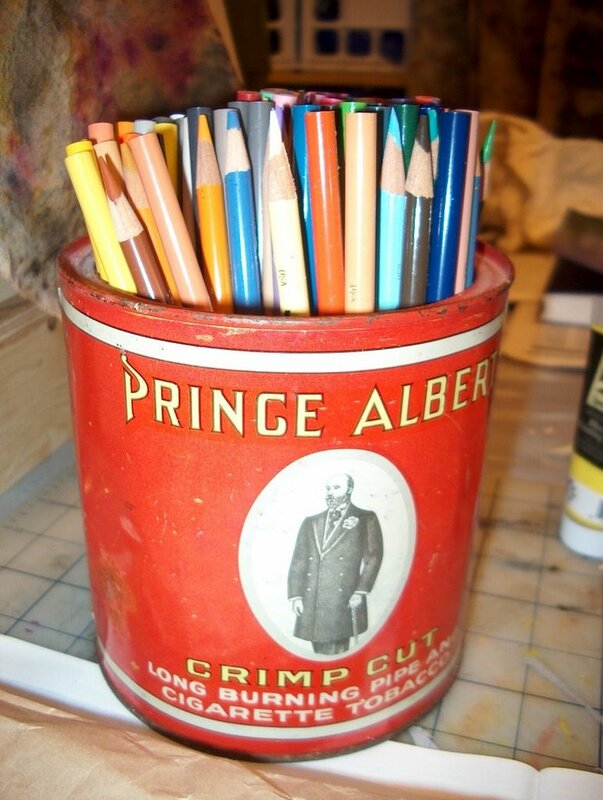 Mine was accessibility to my color pencils t hey were stored way back and I mean way way back in a cabinet so you can imagine my excitement when I found this old tobacco tin to store my pencils in. 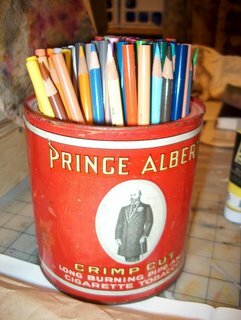 In my other studio my other set of color pencils, yes I have two sets, lives in a flower pot - a square flower pot. Now to just figure out where to put all of the fabric and the very very large sheets of paper, while they are waiting for the next surface treatments.